I’ve been writing computer books for over 29 years now and some people might think that’s long enough to know everything there is to know about computers. Actually, my involvement with computers spans over 40 years and I haven’t learned everything yet—nor will I. Every day is a new adventure, which is why I keep going. Besides the other projects I’ve been working on (which includes discovering the inner workings of both Near Field Communications, NFC, and machine learning), I’ve also been working through this whole concept of mobile device friendliness. In fact, I’ve discovered that there is actually a difference between sites that are mobile friendly and those that are mobile responsive, in that a mobile responsive design does a lot more for the mobile users (and is always mobile friendly by default). The page contains more than just a validation of the mobile friendliness of your site. 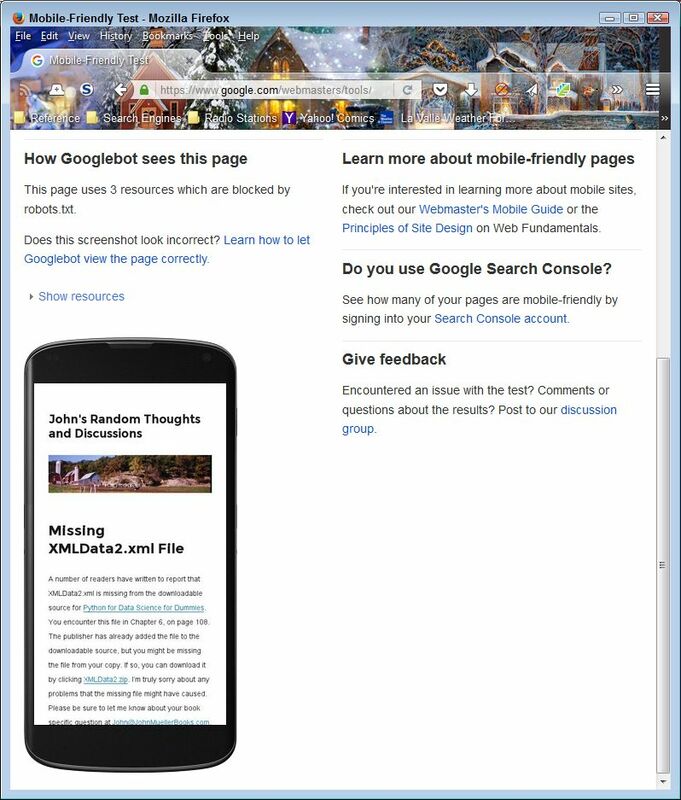 When you scroll down, you see a simulated output of your site when viewed on a smartphone. The view is important because it helps you understand how a mobile user will see your site, versus the view that you provide to desktop and tablet users. It’s important not to assume that mobile users have the same functionality as other users do. Here’s the simulated view for my site. As more and more people rely on mobile devices to access the Internet, you need to become more aware of what they’re seeing and whether they can use your site at all. According to most authorities, more users access the Internet using mobile devices today, than other devices, such as laptops, desktops, or tables. If you don’t support mobile devices correctly, you lose out on the potential audience for your site. This means that you may make less money than you otherwise could from sales and that the influence of your site is far less. 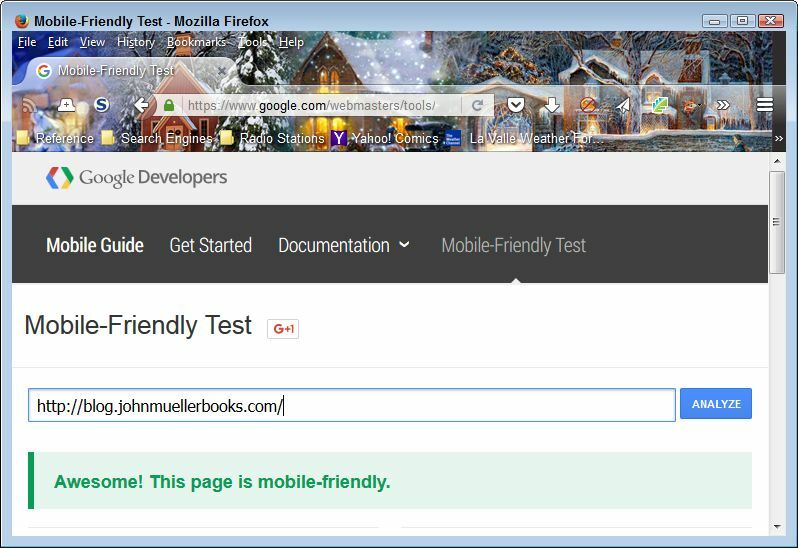 Let me know your thoughts about mobile device access at John@JohnMuellerBooks.com.